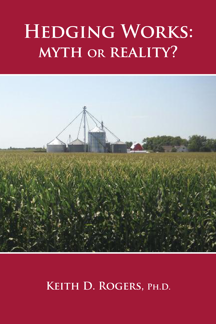 Executive Summary: This is the third in a new series of articles to look at the performance of a larger array of corn marketing strategies by updating an earlier study covering 1979/80-1983/84. Focus of this article is on three strategies based on technical analysis. Two of the strategies did not perform as well for the 2008/09-2012/13 period as for the earlier period, and the third performed almost exactly the same as before. The two strategies based on taking a short position in cash or futures to be held until harvest delivery exposed the same hidden flaws that were exposed in earlier discussion, specifically not being able to take advantage of major rallies. The multiple hedging strategy, which allows for a hedge to be lifted, was able to avoid that design flaw and produce the largest premium of all the strategies in both studies. This is the third in a new series of articles to partially update a study and report for the Illinois Corn Marketing Board in 1985 titled “Evaluation of Corn Marketing Strategies for Harvest Delivery of Corn at Selected Illinois Locations: 1979/80-1983/84.” If you have not read the first article which describes the update process, please do so now. While doing that, I encourage you to print copies of the two tables that were included in the article. The first article in the series focused on two strategies based on seasonal prices. The second article concentrated on two strategies which both use cost of production as the trigger to initiate sales. This article will focus on three strategies which use technical analysis as the trigger to initiate sales. Strategy 14 is a variation on Strategy 12 and uses a technical indicator to trigger sales instead of the cost of production. The strategy is designed for one sale per year to be initiated when the technical indicator generates the first sell signal, and the position is to be held until delivery. As a reminder, the numbers in the 1979-83 study are net cash prices even though futures contracts were used to hold the position, and have been adjusted for trading fees and interest charges. A weakness of this strategy is that there is no guarantee that a sell signal will be received, but readers may note that this could be partial solution to an earlier problem when the strategies were not flexible enough to stay unhedged when the market was in rally mode. Strategy 14 produced a $0.07 premium in the 79-83 study, resulting in a net price of $2.79, compared to the base price of $2.73 (rounding difference noted). Strategy 16 is similar to Strategy 14 and also is a variation on Strategy 15. It uses a technical indicator to trigger sales instead of cost of production, but this strategy is designed for five incremental sales to be made, starting when the indicator generates the first sell signal and increasing sales as additional sell signals are received. A weakness of this strategy is that there is no guarantee that five sell signals will be received to complete the sales plan. A strength is that the strategy has the capability to stay unhedged and take advantage of market rallies into harvest. Strategy 16 produced a premium of $0.11 in the 79-83 study. While there is only a marginal difference in the premiums produced by Strategy 14 and 16, Strategy 16 did reduce the losses in two particular years from $0.71 down to $0.13 and from $0.67 down to $0.25 per bushel. Strategy 18 uses a technical indicator to trigger multiple hedges by initiating a sale on every sell signal, lifting the hedge on every buy signal, and repeating the process for as many sell and buy signals as the indicator generates. Some will argue that the weakness of this strategy is that there is no price protection in place part of the time. The design of a multiple hedging strategy must be considered carefully. If the strategy generates a discount when compared to the base price, it means price protection was in place when there was not price risk. Alternatively, if a premium is generated, price protection was in place when there was price risk. In reality, the performance of the strategy rests on the quality of the technical indicator and its ability to correctly signal whether there is a price risk or not. Strategy 18 generated a $0.38 premium and $3.10 average price in the 79-83 study. It should be noted that this was the highest premium of all the strategies in the study. Certainly multiple hedging is not for everyone, but it appears to be the only strategy in the study which was flexible enough to effectively deal with both falling prices and major rallies. Rolling forward 25 years, Strategy 14 did not perform as well in the 2008-12 study as it did in the earlier study. A discount of $.013 was generated and an average price of $5.16 compared to the base price of $5.29. It should be noted that the technical indicators that were considered in the 08-12 study were not the same indicators that were considered in the 79-83 study. The result reported for the 79-83 study are from an indicator known as a Variable Oscillator while the results for the 08-12 study are from MA(17,35) crossover, a moving average based indicator. There is room for speculation about whether a Variable Oscillator would produce better results, but we don’t have that information without restructuring and rerunning the entire test. Let’s just accept that Strategy 14 did not do as well, and focus on why the strategy might be questionable. We know from the results of corn, wheat, and soybean backtesting studies that are reported in separate articles that moving averages are effective to signal when the trend is down, so we can assume the technical indicator performed that part of the task correctly. That leaves timing as a major issue. The first sell signal came too early in the marketing cycle, and then there was no way to correct the error with this strategy. It would appear that this strategy is flawed in a manner similar to the cost based strategies, or any other strategy which tends to load the selling toward the front of the marketing cycle. Strategy 16 also did not perform as well in the 2008-12 study as in the earlier study. A discount of $0.08 was generated and an average price of $5.21. By staggering the sales over several increments, using MA(5,35) crossover, some of the sales would have been made later in the cycle than with Strategy 14. The reduction of the discount supports the conclusion that part of the flaw in Strategy 14 involved triggering sales too soon. Again, the technical indicators are different between the old study and the new study, but we have no evidence to conclude whether an oscillator will do any better in the current environment. Strategy 18 did perform as well in the 2008-12 study as in the earlier study, and the results are based on two different technical indicators. As with the two previous strategies, an indicator known as a Hi-Lo Oscillator was used in the 1979-83 study and a moving average based indictor, MA(17), was used in the 2008-12 study. Strategy 18 produced an average premium of $0.71 per bushel which yielded an average price of $6.00 for the five year study. As in the earlier study, the multiple hedge strategy produced the highest premium and average price of all the strategies in the study. Also noted is the fact that the largest discount in any single year was $0.18 and still resulted in a price of $5.97 for that year. Of course, the most desirable strategy from the perspective of cash flow management would be the one that produced the highest average price with the smallest annual deviation from the average. In summary, there are several points to be noted from the study upgrade: 1) The technical analysis based strategies produced mixed results when comparing the 1979-83 study with the 2008-2012 study. 2) Strategy 16, based on scaling up, produced better results than Strategy 14 in both studies, but both strategies failed to produce premiums in the 08-12 study. 3) Strategy 14 produced a discount of $1.52 per bushel in one year and Strategy 16 produced a discount of $1.74 in one year. Those cases clearly emphasize that price protection was put in place when price risk was a myth rather than a reality. 4) Strategy 18 performed well in both studies, and produced the highest average premium of all the strategies in both studies. 5) Because different technical indicators were used in the two studies, the question of whether oscillators would have done better in the 08-12 study is still on the table. 6) The possibility that the oscillator based indicators might have done better than the moving average based indicators points out the need for additional research. That research should be anticipated as forthcoming in the next few months after some preliminary work on hedging livestock and feed inputs. 7) Technical analysis must be combined with selective or multiple hedging to avoid the same flaws as seasonal pattern and cost based strategies. Posted by Keith D. Rogers on 9 October 2013.